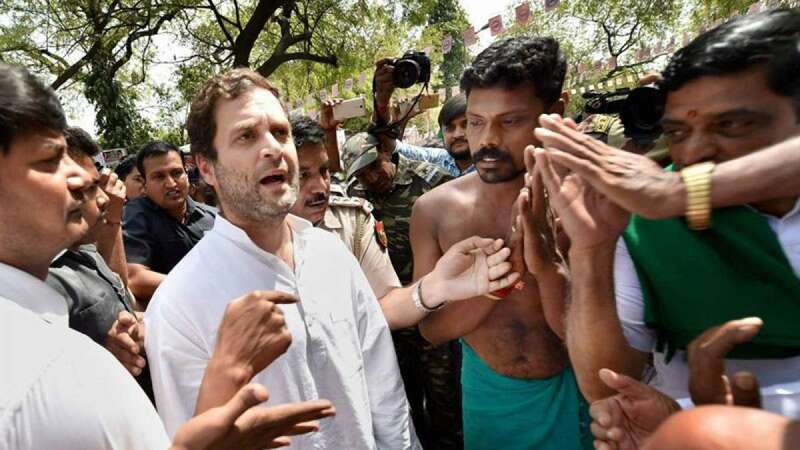 Mandsaur : Prevented by the administration from entering violence-hit Mandsaur, Congress Vice President Rahul Gandhi on Thursday accused the Narendra Modi government of favouring the rich and giving farmers "only bullets". "Narendra Modi waived loans worth Rs.1,50,000 crore for the richest people in India...," Gandhi said shortly before he was detained by Madhya Pradesh police in Mandasur where five protesting farmers had been shot dead on Tuesday. "But they can't give right rates to the farmers, they cannot give compensation, or bonus, they can give only bullets to the farmers," he said. "They detained me in Uttar Pradesh, they are detaining me here". Asked who was responsible for the killing of farmers, Rahul Gandhi said: "Narendra Modi and Chief Minister (Shivraj Singh Chauhan)". The Congress leader was denied permission by the local administration to visit Mandsaur in Madhya Pradesh where police shot dead five protesting farmers. He entered Madhya Pradesh by car from Rajasthan and then took a bike ride to reach Mandsaur, but was detained. In a tweet, the Congress leader said: "I just wanted to meet the farmers' families. They did not give any reason, just arrested me."